Sofia Boutella is a dancer, musician and actress of Algerian-French origin. She is popularly known for the 'hip-hop' and street style of dancing. Sofia features in the advertising campaigns for Nike Women. She has acted in film; Monsters: Dark Continent and Kingsman: The Secret Service and Street Dance 2. Sofia Boutella was born on 3rd April 1982 in Bab El Qued in Algiers District. Her father Safy Boutella was a Jazz musician and her mother was an architect. She started her training in classical dance at the tender age of five. Sophia and her family shifted to France when she was 10 years old. She learnt rhythmic gymnastics. Sophia was selected for the French national team at 18 years of age. She has done her graduation from Berklee College of Music. Sofia Boutella embarked upno her career as a dancer with hip hop and street dance. She was a member of a troupe, 'Vagabond Crew'. The group was a winner of the “Battle of the Year” 2006. Sofia practiced regularly under the mentorship of choreographer Blanca Li. She danced for films and has appeared in television shows, advertisements and concerts. Sofia Boutella is abundantly talented and skilled as a dancer. Success smiled sweet on her when she was selected for the Nike advertisement by choreographer Jamie King in 2007, and made her international debut. She symbolised feminity and the dance form hip hop. Her rise in the dance world was meteoric. 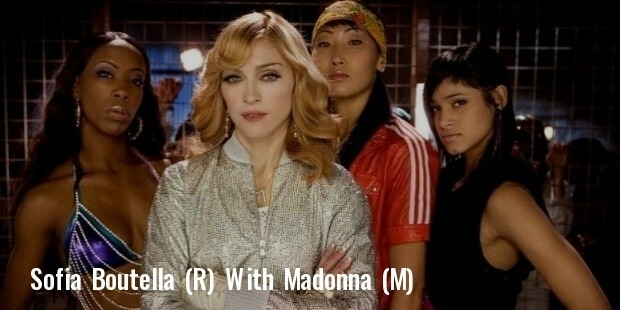 She travelled with Madonna on her confession tours and featured in a few of her music videos. As part of 'Madonna for H&M' campaign, an internation clothes brand, Boutella was splashed on hoardings across the globe. Sofia tasted success again when she played the protagonist in “Hollywood Tonight”, Michael Jackson's music video. Sofia got her first break in films when she caught the attention of Bianca Li during her performance at Los Angeles. She was cast in 'The Challenge', a musical comedy. Boutella was the protagonist in the movie, “Street Dance 2” and its sequel, “Street Dance 3D”. She acted in “Kingsman: The Secret Service”. Boutella appeared in several television serials and music videos on MTV. She models for women sportswear brands; Reebok, Puma, Adidas and Nike and beauty products. Boutella talks about her life experiences in “You are Your Own Limits”, an online biographical show initiated by Nike. Boutella was inspired by by the likes of Fred Astaire, Daniel Day-Lewis and Bob Fosse. 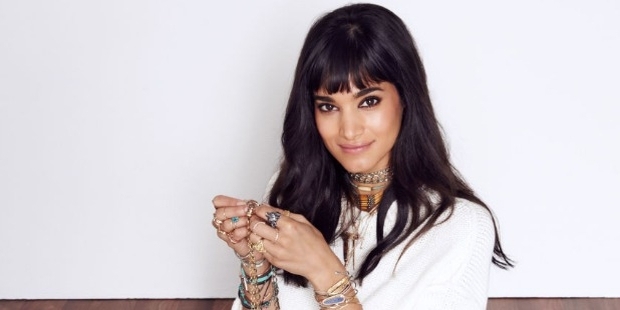 Sofia Boutella will play 'Mummy' in “Star Trek Beyond”, slated for release in 2016.